4 posts were merged into an existing topic: General Music Discussion - Discover New Music! Wow, I remember when @Karifean asked me to come here, but it took me… 10 months? To finally join here. An irl friend of mine has started reading the Umineko manga (which I own the first three episodes of, in due time I’ll have all of them…) and because of that I felt a desire to jump back into just talking about this visual novel. So I’ve seen a number of familiar faces, but for those who don’t know, I’m Checklad, same name on reddit (and /r/visualnovels). With regards to the R07 expansion: on the 14th of April 2016, I started to read Umineko with live reactions and rambling from my part, joined by a number of people I knew from a different community and a few I picked up on the way, ultimately finishing the 6th of October 2016. I really enjoyed Umineko all-in-all, even if I can’t express it that well. Perhaps I’ll do the same style for Higurashi in due time as this way of reading is to me a motivator, as it really added to me experiencing Umineko and its despair. My commentary from the first 2 episodes and the first half of episode 3 are… a bit messy due to shifting from a channel to a seperate server, but we’ll see how that goes. Oh right, about me… I’m Dutch, 21, occasionally an idiot. I feel that describes me best if you don’t know me yet! Welcome to the community @Checklad! Glad to see you join us, I hope this becomes a place you enjoy participating in! Welcome @Checklad! I love people who self advertise as idiots, coz you know that is never all that they are, and kind of like a mystery. Anyways, glad to have you aboard! You’ll like @Midsummer, he’s a biyearly genius. So he’s occasionally not an idiot. Welcome to Rokkenjima @Checklad! I’m U4ea, Rokkenjima’s unofficial baka tour guide! There are various threads separated per episode where you can talk all about how magical Umineko is. Since you are a veteran, I recommend checking out the spoiler threads since those are places where you can talk freely about stuff that happens in later episodes! However, there are also spoiler free threads where you can see new readers reacting to the story for the first time. Of course the spoiler and spoiler free threads also exist for Higurashi, so you’re free to check those out too! There are also various threads for Higanbana, Rose Guns Days, Iwaihime, Hotarubi, and TRianThology! These lesser known works are unique in their own ways, so I recommend checking them out if you haven’t already! There are a lot of other ways to involve yourself here too! For example, you can share what when they cry moments have made you cry, you can share your manga collection, share your VNDB list, talk about gaming, talk about your dream crossovers, talk about writing, talk about Touhou, there’s even a thread all about pizza! Of course, you may also prefer to know about 07th Expansion news, like Higurashi Kai, and WTC5. Currently you’ll find me in germany working as a software engineer in a software company. Next to watching japanese series, I play games like osu!, Dark Souls 2 and Cities Skylines. Also I am currently playing the Steam version of Higurashi… but I didn’t got far yet. I am often confused and stupid. I complexify things into oblivion when I’m tired. You’ll notice that in my wording sometimes. Aaaaand the first thing I’ve accomplished is to make Pandora angry on discord. Welp I’m onto a good start, so hello everyone! Anyways, welcome to Rokkenjima! We have lots of people from Germany as well, though I am not one of them. I will let @U4ea properly welcome you though. Glad to have you with us! I will let @U4ea properly welcome you though. Glad to have you with us! Hello @Miterosan Don’t worry too much about Pandora! We’re all friendly here, I swear. My guess is you tried to join in the Discord too soon. We have a rule that makes it so you must obtain the “witch” badge (which takes like a week I think, if not less) first. We do this so that a bulk of the focus stays on our lovely forum. 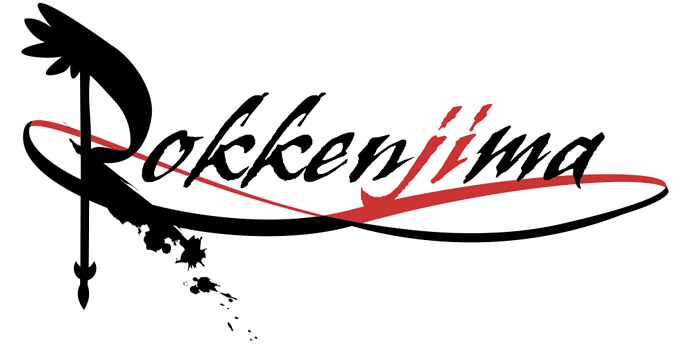 After all, the forum is and always will be the heart of Rokkenjima! The best way to get involved around here is to follow along with our tea parties (which follow the Steam versions of Higurashi)! We have a podcast at the end of the tea parties (which you can participate in)! I recommend checking out the spoiler free sections for all the arcs we’ve covered (1-5), or listening to the podcasts to get a feel for our community and the theories we create! I also recommend rereading Kai on Steam along with everyone else! It’ll make the experience better! In the meantime, you can check out the newly translated arc, Someutsushi! It’s fairly short, but it’s still fun! However, if you want to talk about the stuff that happens in later arcs now, you can! You can talk about the full series as a whole, or spoilers on an arc per arc basis. We also have all of these things for Umineko (which if you haven’t read yet, please read Umineko)! There are also other fun 07th Expansion content on this site, like Higanbana, Rose Guns Days, Iwaihime, Hotarubi, and TRianThology! I recommend checking these out too if you’ve never heard of them! I know that some of them (Higanbana and Rose Guns Days) have been translated into English, so if you haven’t read them yet, please do! Of course we also have other ways to get involved! We have a place to talk about general gaming, visual novels, your favorite movies, pets, dream crossovers, you can share your MyAnimeList and VNDB, and you can even talk about your favorite caffeinated beverage! There are plenty of ways to get to know people around here! As Vyse says, there are a lot of other Germans running around too! I think @SuperM, @Aurarcane, and @Replicator are German too! I really hope you enjoy it here! Now, go! Make some new friends! Gasps Am I being mistaken for being rude?? Ahah, I apologize if you got the wrong impression of me @Miterosan, I do admit that while I can be a bit of a grump, I was just trying to prevent people from making the same mistakes whenever they try and join the Discord. Anyway, welcome to Rokkenjima! I hope you enjoy your stay. We’re gonna get along fine! Thank you for the warm welcome, U4ea! I did already watch the Umineko Anime. Maybe I’ll try the visual novel too, after I finished the higurashi visual novel… Buuut it is rare that I’m at my PC … I am mostly on mobile soooo that will take some time. I’ll join the gaming and movies thread later. In the rules is written, that you should not use emotes like: >.< :3 (^.^) and so on… is that true or did I read that wrong? nononono not rude … I did read the text … but I do not like to use websites on mobile… so I’ve wrote that… Sorry to make you angry in the first place. I went sleeping yesterday, so I’m late. Alright, so I just double checked the code of conduct to make sure, and no such rule exists! You can use whatever emotes you want! Now go read the Umineko VN~ It’s so much better than the anime. I know it will take some time, but it’s well worth the read! Sorry to be a party pooper, but that’s outlined in Clause 7 of the Code of Conduct. It’s not a rule, just a guideline that our members strive for proper grammar and punctuation when posting on the forum. Glad to have you here @Miterosan! I hope Rokkenjima comes to be a place you can call home. Sorry to be a party pooper, but that's outlined in Clause 7 of the Code of Conduct. are all forbidden on this forum? They’re not forbidden, we just don’t like people using them excessively in their posts. Thank you and have a nice evening… morning … night… or whatever time it is at you location.